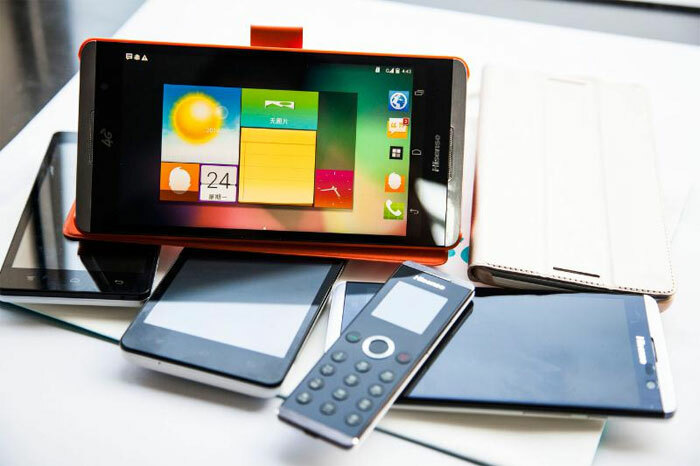 A Chinese smartphone maker called Hisense has unveiled its latest giant screen smartphone at MWC 2014. The new device is the Maxe X1 and it is more a phablet than a normal smartphone. The massive device has a screen that is 6.8-inches wide. The resolution of that big screen is 1920 x 1800. The smartphone can also record full HD resolution video thanks to the 13MP rear camera. The camera also has a panoramic mode and burst shooting mode. The phone runs the Android 4.4 operating system. The processor under the hood is a Snapdragon 800 2.3GHz unit. The sound system includes a pair of stereo speakers on the front that support Dolby virtual surround sound. The smartphone is also equipped with three noise-cancelling microphones. The device can stream content to a big screen TV wirelessly or via a MHL cable. One of the more interesting features of the Maxe X1 is the small NFC-enabled Bluetooth MINI phone that it includes. That little mini phone allows the user to respond to texts, answer, and make phone calls without having to get the big screen phablet out. Hisense says the mini handset can also be used as a bus or subway pass with a swipe.